How to make negative (-) voltage using HFS series? 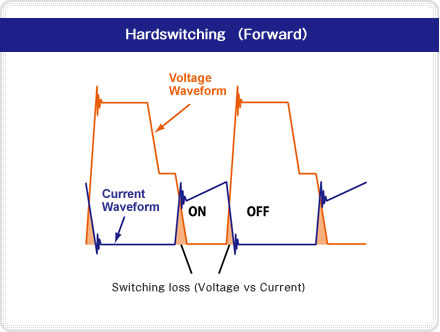 What is the difference between Soft Switching and Hard Switching. What is the recommended Voltage and Current value for remote control feature? Ripple Voltage Value in our data sheet is Rms, Peak or Peak to Peak? Can you get the test data of DPS products? My PSU suddenly stopped and doesn't work. What's happened? What is the switching frequency of DPS? What are the differences with other switching power supplies? What are the advantages compared with linear type of power supplies? What is the country of origin of these products? Q1. How to make negative (-) voltage using HFS series? Normally you can get positive (+) voltage by connecting between + and -. Connect + to FG when you need negative (-) voltage. Q2. What is the difference between Soft Switching and Hard Switching. Switching Power Supply has mainly 2 types of switching topologies. ringing effects(noise) at the edge of square waves of the current. In our system, we followed Soft Switching in order to reduce noise. 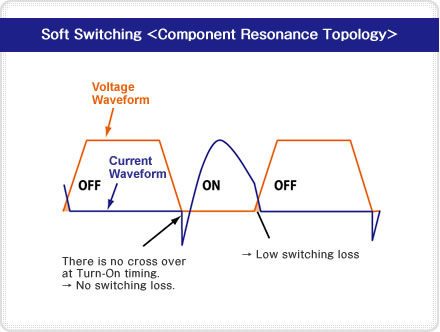 Soft Switching could minimize the noise because of its current output forms sine wave. Q3. What is the recommended Voltage and Current value for remote control feature? 6.5V or more to control turning on/off this feature. Q4. Ripple Voltage Value in our data sheet is Rms, Peak or Peak to Peak? Basically Daitron Power Supply products use Vp-p (peak to peak) value in our data sheet. All these values are under the JEITA specified measurement method as below. We carefully choose these values (most of these values are from worst case conditions). Actual value would be smaller depends on ambient temperature, voltage and load conditions. Please refer to our test data. Q5. Can you get the test data of DPS products? If you have any other specific request, please submit us your requirement in detail. Q6. My PSU suddenly stopped and doesn't work. What's happened? Sometimes OVP or OCP feature works and stop PSU to operate for safety reason. You may turn off AC and disconnect wires. Then wait for a couple of minutes. Then please connect wires again. It will work again. Otherwise, please consult our local field sales team for further assistance. Q7. What is the switching frequency of DPS? Some models are fixed, but others are not. The switching frequency of our PSUs are mostly less than 127KHz. Following 3 models have fixed switching frequencies as below. Please take a look at the "Part number definition" as below link. "Universal Input" (86-264Vac). That is why we mention this in our data sheets. Some customers request Parallel connection in order to get more output power. But our system can not connect in Parallel . Q11. What are the differences with other switching power supplies? * Low noise feature could minimized external filter components count. Q12. What are the advantages compared with linear type of power supplies? Q13. What is the country of origin of these products?